New style 2D Bag. A fresh new red carpet appearance for the modern day 2D Life. Grab your new sling and go 2D Bag 2Day! 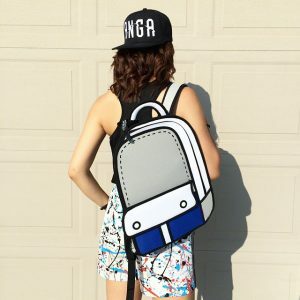 The all new style 2D Bag. Built on the same principles as our previous shoulder bags, this one sports a fresh modern look for the modern day. 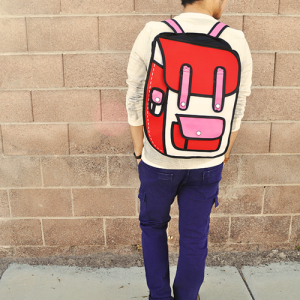 Sharp lines and bold 2D colors makes this detailed 2D Bag really stand out from the crowd. It’s our top choice for the sling and go style. We enjoy this spacious shoulder 2d bag for storing all of our daily snacks and valuables. Of course we do this in style effortless and let our 2d bags do the talking for us! With two colors to choose from, you’ll be matching any outfit in no time. 1. Effortless new Style. You’ll be the envy of the class or party. Wow everyone around you. 2. Reinforced water resistant canvas to protect your precious belongings. 3. Innards of plastic, polyester, and nylon to keep your items secure. 6. An adjustable shoulder strap to fit your desired height. 7. A handle on top for carrying by hand when going strapless feels in style! 8. Blue or Yellow the colors that pop!